Active Communities will be opening the Active Communities programme in Health Lottery North East & Cumbria. For this round of funding they will be targeting Newcastle, South Tyneside, Gateshead, Sunderland, North Tyneside, Allerdale, Copeland and Barrow in Furness, and will only be accepting applications from these areas. They are particularly looking to focus on Newcastle, Gateshead, North and South Tyneside. Are for people who experience greater social and economic disadvantage than people living in other parts of the country. A community of interest: a group of people who have shared experiences, characteristics or common interests and wish to come together to address specific issues that are important to them. They may live across a wider area. Opens for applications on 10 April for four weeks. For funding alerts, sign up to their mailing list. 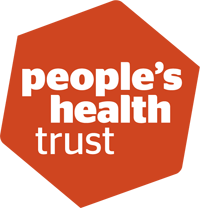 Thank you for your booking: People’s Health Trust Active Communities funding programme opens 10 April. We will be in touch soon to confirm your place.